The Telecommunications Regulatory Authority (TRA) launched the Internet Protocol Version 6 (IPv6) for the first time in the UAE, during its hosting of the RIPE Network Coordination Centre Meeting 'RIPE 75'. The meeting started on Sunday 22 October 2017, with the participation of about 500 delegates from around the world, to discuss issues of interest to the internet community and ways to meet the current phase requirements of Internet protocols in light of the global and strategic policies of the country in smart transformation, transition to knowledge economy, big data era, Internet of Things (IoT), eCommerce, or what is known as moving towards the future. 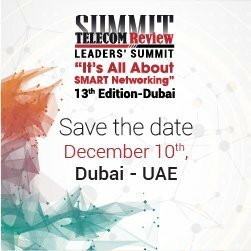 The meeting, which is held at the Conrad Hotel in Dubai for five days, falls within the framework of TRA's partnership with international and regional organizations in the ICT field and sharing expertise with the partners, especially that the UAE hosts the only office of RIPE NCC outside Europe, which is based in The Hague, Netherlands. The meeting is also an important opportunity to identify support chances to the integrated infrastructure and enhance the UAE's leadership in the field of ICT, considering the need for a robust connectivity to meet the smart transformation requirements on the global level. The meeting is held with the participation of a wide range of local, regional and global leading names representing the ICT sector, most importantly, Google, Microsoft, Amazon, Apple, Facebook, LinkedIn, Nokia, Deutsche Telecom, Netflix, Orange, Omantel, OGERO, VIVA, du, Etisalat, as well as other government entities. H.E. Hamad Obaid Al Mansoori, TRA Director General, indicated during his speech in the meeting that the IPv6 has been implemented for the first time, noting the importance of this expansion, and the role of RIPE in supporting efforts to expand the internet prospects in countries served by RIPE. H.E. 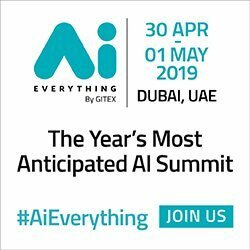 highlighted many UAE initiatives that indicate the future reliance on the internet, the latest of which was the launch of the UAE Strategy for Artificial Intelligence, which is a cornerstone for achieving the UAE Vision 2021, which increases our motivation to meet the growing needs of IPs to serve strategic objectives and sustainable development. H.E. Al Mansoori said: "The meeting is an important platform for exchanging views and enhancing visions on technical solutions to meet the requirements of the current era." He praised the RIPE efforts in supporting the region with new protocols to achieve sustainable development, clarifying that the country's trend towards smart transformation, IoT, and big data, enhance its needs for more IPs, to accommodate the exchange of data between millions of devices, and sustainable development, particularly in light of the overlap between technology and economy as one of the fundamentals of the knowledge economy. He also pointed out that securing the necessary protocols for the flow of information achieves the UN sustainable development goals in significantly increasing access to information and communications technology and providing universal and affordable access to the Internet. On the sidelines of the first day of the meeting, the TRA signed an MoU with RIPE NCC, aiming at enhancing mutual cooperation and exchange of expertise between the different sectors to develop the internet, thus, enhancing the efficiency of internet operations in the Middle East. It also aims to organize a series of conferences, meetings, training programs and awareness and promotional campaigns on IPv6. According to the MoU signed by H.E. Hamad Obaid Al Mansoori, TRA Director General, and Mr. Axel Pawlik, RIPE Managing Director, the promotion of RIPE ATLAS will be launched, as a global advanced internet-measuring platform, for increasing the effective tools for analyzing the performance of internet networks and data of the local, regional and international internet communities. Additionally, it introduces the RIPE Academic Cooperation Initiative (RACI) which is considered a bridge to enhance communication between students, researchers, the RIPE community and the international community, through meetings, conferences and interactive activities, in addition to cooperation with universities and research centers in the UAE, to educate students and researchers on the latest innovations and development of Internet. RIPE 75 meeting is a leading international gathering that includes ICT industry leaders and important internet providers and operators, to participate in extensive discussions on the internet and effective policies implemented by RIPE NCC to allocate internet resources in the UAE, and the MENA, in response to the need for robust and efficient connectivity to serve the needs of the current phase. The meeting is a platform for exchanging views and ideas on the opportunities and challenges facing the internet sector globally, and identifying realistic solutions for them, as they overlap with all levels of the human life. Besides, it discusses the cybersecurity procedures to prevent unauthorized use, misuse, and exploitation of information online, as millions of individuals and entities use the internet, in addition the emergence of criminal elements that exploit their potentials for illicit gain through blackmail, data exploitation and others. The meeting seeks to provide the organization and its members with effective solutions, for the success of development processes, smart transformation, moving to knowledge economy, IoT, eCommerce, as well as cybersecurity and users' safety, and the importance of conducting business in a safe space. The conference is of a great importance in light of the widespread reliance on internet in business, which has become a pillar of the economic process in the region and the world, posing new challenges that must be faced through continuous coordination with the partners. The Information Technology has become the basis for the growth of modern economy under the new concepts of knowledge economy, eCommerce, and others.